Southampton star defender Virgil van Dijk has reportedly told his current employers that he only wants to sign for Liverpool, despite the Reds being warned off after a complaint to the Premier League. 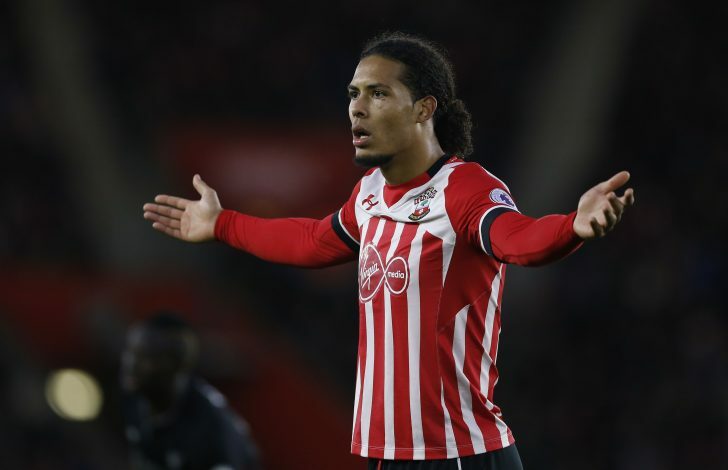 According to Mirror, the Saints are keen to hold onto their prized assets, but Van Dijk seems to be pushing for a move to Merseyside, as he wants to play Champions League football like he did with Celtic, before his switch to Southampton. It was also claimed that the Dutchman does not want to miss out on a £50 million pay day, even if it meant abandoning his current side. Liverpool, who are looking to add considerable firepower to their back-line, were reported to the Premier League last month by the side from St. Mary’s, after being accused of an illegal approach made by them for the 26-year-old. Though the Reds apologized and publicly ended their interest in the defender, they are now said to be closely monitoring the situation, and believe that the Saints’ captain can make a move to Anfield this summer. Along with Liverpool, Chelsea, Man United, and Manchester City too, have been linked with the Dutch defender, but with United having signed Victor Lindelof from Benfica and Chelsea closing the deal for Roma’s Antonio Rudiger, only the Citizens and the Reds remain in the hunt to obtain the signature of Van Dijk.